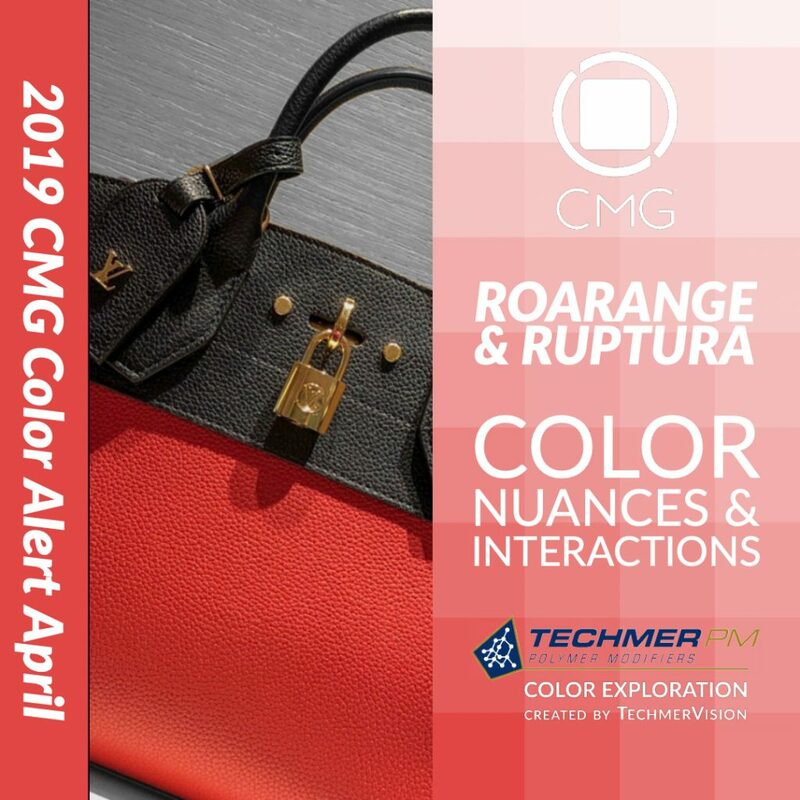 Techmer PM has partnered with Color Marketing Group® to bring members the TechmerVision Color Exploration ROARange and Ruptura, an extension of the Color Alerts®. SCREAM! YELL! SHOUT! Take a stand and let your passion be known! Emanating from enthusiastic discussions in 2017, to emerge in 2019, two colors are tearing up the global reach of color. With identical core hues, ROARange and Ruptura, from North America and Latin America, respectively, differ only in their value of greyness. They share passion and determination as well as their yellow/red core.